Card College is considered by many to be the most important and influential work on sleight-of-hand card magic for the beginner and the expert. With these videos the author personally coaches you. It is like taking one-to-one lessons! This is Lesson 3 of the Card College 1&2 – Personal Instruction video course in card magic. 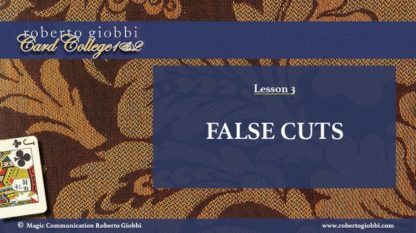 It will teach you various real and false cuts, which are indispensable follow-ups to of any full-deck or partial False Shuffle. Furthermore you’ll be able to enjoy a performance done before real spectators. 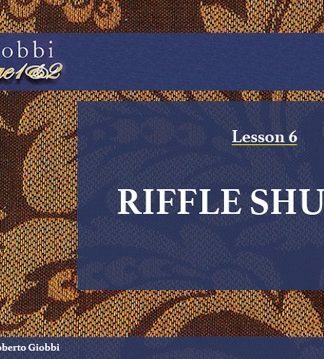 This is followed by a detailed discussion that will convey to you all the information needed to perform this easy, yet baffling trick containing some of the sleights taught in the technical section. 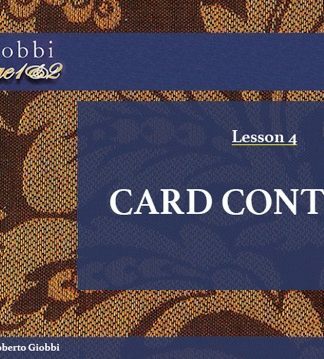 Roberto Giobbi presents Card College 1&2 – Personal Instruction. With Roberto Giobbi, based on the material from his books Card College Volumes 1&2, updated and expanded. The trick is audience-tested and highly entertaining. 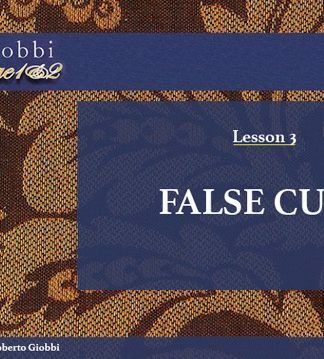 It contains several of the techniques taught in this and in previous lessons, so you can learn how to effectively apply it in real-life situations. 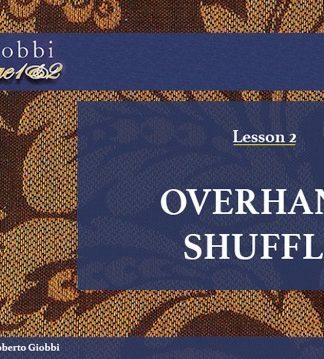 The detailed explanation also discusses practical concepts such as presentation, communication, timing, misdirection and all those things that will help you understand the causes and the essence of card magic. This video lesson is completely self-contained; using the Card College book as an additional learning tool can be helpful, but is absolutely not necessary. 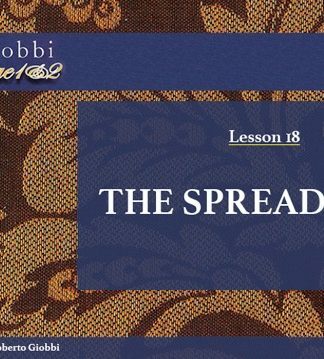 This video course has been conceived with all those in mind who prefer visual instruction to reading. 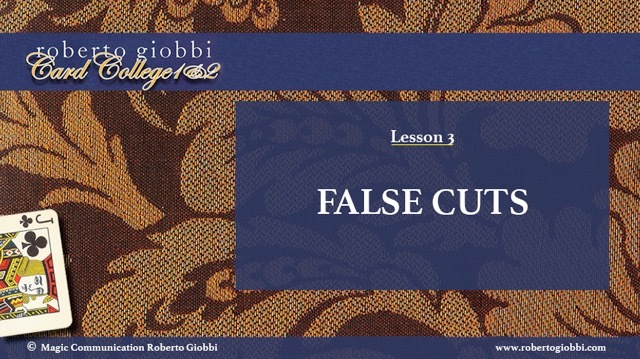 Lesson 3 contains professional-caliber material and information. If you are willing to think and to practice, you will obtain extraordinary results. 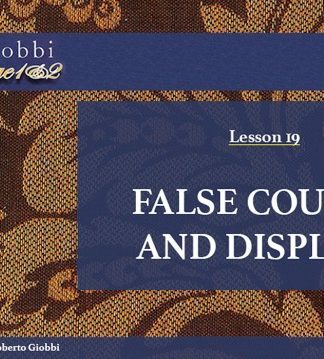 This lesson comes as an MP4-file and is compatible with almost all currently known systems and devices. The size of this MP4-file is ca. 152 MB; you can stream-view it online, or download it to your favorite device, from where you can enjoy it anytime offline. For smooth downloading we recommend a good connection to Internet. This project encapsulates a lifetime of study & experience. It is part of our livelihood, and we kept it at a very affordable price to discourage piracy. Please be fair and do not share this file with others. Thank you!